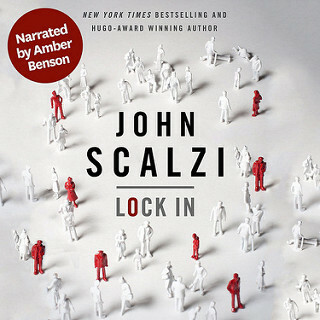 I noted a while back that there would be an audio edition of Lock In, from Audible. What I had not noted, until this very second, is that Audible was planning to do something pretty neat with the audiobook: Namely, that it was recording two complete versions of the book, one narrated by Amber Benson, and the other by Wil Wheaton, and offering both for sale. Why two versions? Because it’s a cool idea for this particular novel, for all sorts of reasons that I will leave for you to discover. 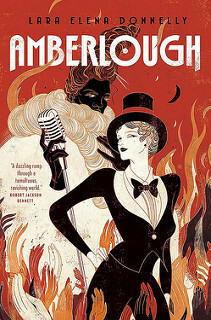 I’m delighted that Audible has created both versions, and I’m especially happy that Amber and Wil are the ones bringing the book to audio life — I’m fans of each of them, both as performers and as writers. I’m about as excited as I can get to hear both editions. Now, at this point you may be saying to yourself: You mean I have to choose between the Wil Wheaton version and the Amber Benson version? That’s too hard! They’re both too awesome! Don’t make me choose! Okay, we won’t. Here’s what we’ll do: Pre-order either audio version of Lock In between now and August 22nd, and Audible will throw in the other version, free. Order Wil’s, get Amber’s. Order Amber’s, get Wil’s. You’ll get two fantastic interpretations of the novel for the price of one. Compare and contrast! Alternate chapters! Mix and match! Really, there’s no way to go wrong on this one. Remember, however: If you want in on this — and if you’re a fan of audiobooks, you so very much do — You need to preorder from Audible by 11:59pm (Eastern) on August 22nd. Don’t wait! Don’t live your life in unfathomable regret! I’m super geeked out about this. 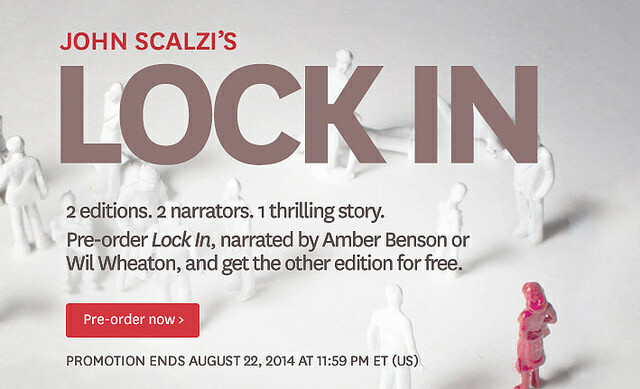 My thanks to the folks at Audible for doing this, and to Amber and Wil for being the voices of Lock In. This is really special. I can’t wait for you folks to hear them both. You did not. I knew Audible would be slightly ahead of me with announcing/e-mailing. 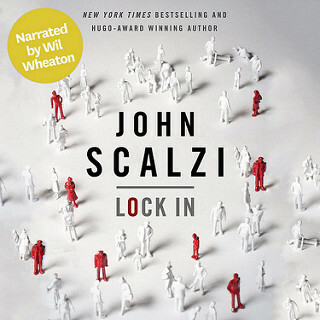 I admit, I’ve only got a few Scalzi novels on audio (working on that, for those times when you just can’t hold a book in your hands) and all of the one’s I’ve got have been read by Wil Wheaton. 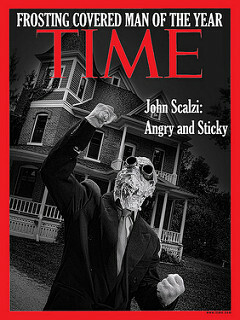 He has become “the voice of Scalzi” in my head, at least until I have the chance to actually meet John Scalzi. Looking forward to hearing Amber Benson’s version as well, though. Wil does a great job, but I’m partial to William Dufris’ work on the Old Man’s War books. If you alternate chapters between the two, you get Amber Wheaton. I expect Stone Brewing Co. To work on that brew immediately. William Dufris does an amazing job on the Old Man’s War series. he’s one of the best audiobook narrators. @Brandon: Oho! I really liked William Dufris’s work on the Holmes on the Range series (cowboy detective stories by Steve Hockensmith). I did not know he’d done the OMW books. Will have to add those to my list. My favorite WW audiobook so far has been Earnest Cline’s Ready Player One. Especially the part when he got to his own cameo in the book. Hmm. Is there a way to preorder with our monthly Audible book credit? Oh, poo! Offer only available for US customers. Pre-ordered! This is a rad idea, John; many thanks, so excited! I love Wil reading your books (agreed about “the voice of Scalzi” thing), but it takes two to make a thing go right! For fans of Amber’s work, check out the audiobook versions of Caitlin R. Kiernan’s Siobhan Quinn series, she does a fabulous job on those! Huh. I just pre-ordered the Wil Wheaton version (using one of my monthly credits), but didn’t get any indication from Audible that I would receive both versions. They’ll know, I suspect. If release date comes and you don’t get further info from them about it, then chat with their customer service about it. If that doesn’t work, let me know. I know a guy. Fantastic idea. I absolutely love that I get to choose my narrator’s voice. Seriously great. Do you know if audible will allow syncing between the two versions? [so it would be possible to switch off easily] Also which version will they be syncing with the Kindle edition? 3. The two editions will not sync with each other (i.e., if you switch off you will need to queue up manually), but they are planning to whispersync both editions if technically possible. So to confirm, which narrator you get determines your initial perception of the reality of the book (until you listen to the second version)? Also, Amber Wheaton brew? Sounds awesome! Cool beans! Sounds like time to reactivate my Audible subscription. Listening to Redshirts after reading it enriched my appreciation of the book. I got the notification from Audible and immediately pre-ordered, then wandered over here to see if it had been mentioned yet. I’ll add my agreement to the earlier comment that Wil Wheaton is the perfect performer for Ready Player One, and his cadence is a match for the pacing of the Scalzi books I’ve heard him read. I’m less familiar with Amber Benson, so I look forward to sampling her performance without paying extra. Thanks, Audible, and thanks, John! Amber Benson and Wil Wheaton? *Geekgasm* I usually dislike audiobooks, but this is too good to miss. Pre-order only one version. Either one. On the release date in August, Audible will send you a “claim code” for the other version. And FYI to folks budgeting their credits: If you use up your Audible “annual” credits, you can renew early. I do it twice a year on average, paying for a year’s worth up front to get an even deeper discount. I luuurrrrrve Audible. US Only? Bad Form, Audible. Bad Form. Ah…tricksy, Audible, veeeery tricksy. I’ve pre-ordered (something I never bother with for audiobooks). I was also very excited by this until I read the closing sentence. Never mind I can still use 2 credits. Preordered! The email announcement from Audible was my first clue the book was available to preorder, so what a cool first peek at my next Scalzi experience. You’re right – Wil does a GREAT job on your books, and +1 on William DuFris as well. Your books have been done by some of my favorite readers. This couldn’t have come a day earlier, *before* I spent my Audible credit for the month? Ah, well. I can still snag it on 8/1. Time to lock-in Lock In. I was jonesing for another Wil Wheaton read!!! Excellent! You said she was a good writer; how about you come up with a general idea for a story and you share this idea with her, you both write different versions – sharing some of the same plot-points & such. I’ve always wanted to see what different writers/singers could do with the same strarting-point. Or have two narrators within the story, wrtitten from different viewpoints; whether they know of each other is up to you I guess. Eh. At this point I’m happier to let her do her own thing the way she wants to do it. I’m pretty sure collaborating with dad isn’t what she wants to do at the moment, nor would I blame her for that because at the same age I was more interested in doing my own thing than anything else. Yeah, I was young once too. Though as I was imagining it, it was only a 1/2 collaboration; maybe 3/4 collaboration. But at-least the idea’s out there for someone. | Oh, poo! Offer only available for US customers. I pre-ordered Wil Wheaton’s version. I thought his “Red Shirts” was Awesome! Looking forward to the second version showing up as well. I’m always behind on credits, so no big deal. still have 4 left. 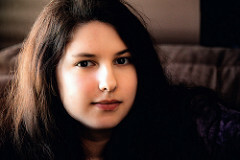 From late May to August, Athena Scalzi is the intern for Whatever, adding her own posts and thoughts to the blog. Catch up with all her latest posts on the front page, or click here for an Intern-only feed! Gregg Soares on Get Your Dance On! Stu on Get Your Dance On!